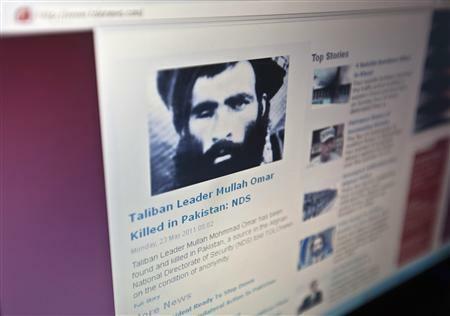 Hackers have for the third time in less than a year attacked the main website of the Afghan Taliban. Images of pigeons and Taliban executions of women were combined with various messages in English, Pashto, and Arabic that support the Afghan government, replacing the Taliban's usual pabulum of exaggerated battlefield claims and anti-government commentaries, by early afternoon. The Taliban has blamed western intelligence agencies amid an intensifying cyberwar with the insurgents. One of the statements posted in English read: "Any kind of violence is condemnable, especially killing of innocent people. It is the responsibility of Afghan security forces to provide security for the country after the withdrawal of foreign troops,"
"It was hacked again by enemies and foreign intelligence services," Taliban spokesman Zabihullah Mujahid said. "The enemy tries to push its propaganda. The enemy is worried by what gets published in our webpage. It's confusing for them, so they try to react." A day rarely passes without a Taliban spokesman using Twitter to claim the destruction of numerous Nato armoured vehicles and the deaths of scores of western or Afghan security forces. Nato quickly counters in its own Twitter feeds. Unknown hackers brought down the main Taliban website earlier this month, when El Emara's English language page was replaced temporarily with images of Taliban atrocities and photographs of roadside bombs, according to the Long War Journal website, which tracks progress in the war, now dragging into its eleventh year. In in 2010, various websites attributed to the Taliban as well as an Arabic jihadi journal covering the Afghan conflict, Al Samood, were 'infiltrated' and their content was replaced by images depicting Taliban atrocities.